Temperature Facts For Kids | Cool Kid Facts . We’ve all heard someone ask what the temperature is outside. Perhaps your mother has said you have a temperature and should go to bed. Maybe you’ve complained that the temperature was too hot in the car. So, what is temperature? 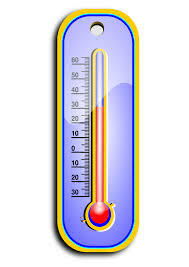 Temperature is a way of measuring hot and cold by way of using a thermometer. It is important in all fields of study – physics, chemistry, Earth Science, natural science, medicine and biology – and of course in our daily lives. Temperature is different than measuring heat, but they are linked. Temperature is a measure of the internal energy and heat is a measure of how the energy is transferred from one thing to another. The kinetic theory describes how gases and liquids will absorb heat which makes the molecules move faster and this increases the temperature of the gas or liquid. There are three scales used to measure temperature: the Celsius scale (°C), the Fahrenheit scale (°F) and the Kelvin scale, which is used mostly in science and technology. Each scale differs in denoting zero and the degrees on the scale. Galileo in the early 1600s was the first scientist to use a device to measure heat and cold. No one knows for sure if he invented the device or borrowed it from someone else. He called the device a thermoscope. In England in 1638, Dr. Robert Fludd built a thermoscope that had a built-in temperature scale and this was the first thermometer. Over the years, many scientists made many thermometers with their own scales for measuring. 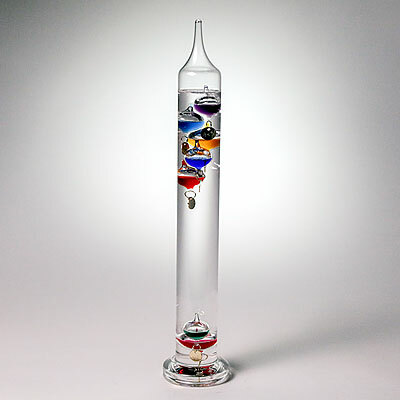 In the early 1700s, Daniel Gabriel Fahrenheit built a thermometer with alcohol and then one with mercury in the tube. Mercury is very sensitive to changes in temperature. He set his scale at -32 ° for the freezing point of water and 212 ° for the boiling point of water. This became widely accepted by scientists around the world. In the 1700s, Anders Celsius developed a new scale. The Celsius scale is the most common scale used throughout the world, although the United States still uses Fahrenheit. Zero degrees Celsius or 0 °C is the point at which water freezes at sea level, and 100 °C is the point at which water boils at sea level. Because of the 100 degree difference between freezing and boiling, it is also called the centigrade scale. One interesting fact is that -40 °C is the same as -40 °F. When the weatherman reports the temperatures outside, they will often mention ‘wind chill’ as a weather warning. Wind chill drops the temperature that you feel on your exposed skin. The faster the wind blows, the lower the temperature will seem. Exposed skin could freeze and cause frost-bite. The other term you will hear during the summer is the ‘heat index’. This is a combination of air temperature and the amount of moisture in the air. It isn’t the actual temperature outside, but it is a description of how the air will feel on your body. 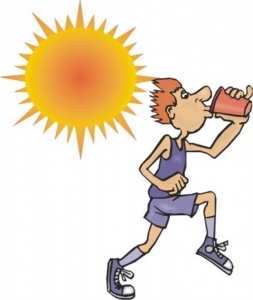 If a person is outside in hot temperatures for long periods, there is a danger of suffering heat stroke, which can be life threatening. 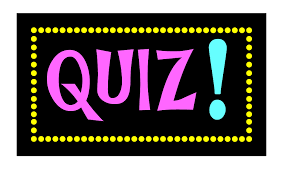 Now it’s time to test how high on the scale your knowledge reaches with our temperature quiz! Who was the first person to invent a way of measuring temperature? What did he call his invention? What is the freezing point of water in Celsius and in Fahrenheit? What is the most common way to measure temperature in the world? What is a weather warning for temperature? Galileo was the first person to invent a way of measuring temperature. Galileo called his invention a thermoscope. Water freezes at 0 °C and -32 °F. Celsius is the world’s most common way of measuring temperature. A temperature weather warning lets people know when they are in danger.